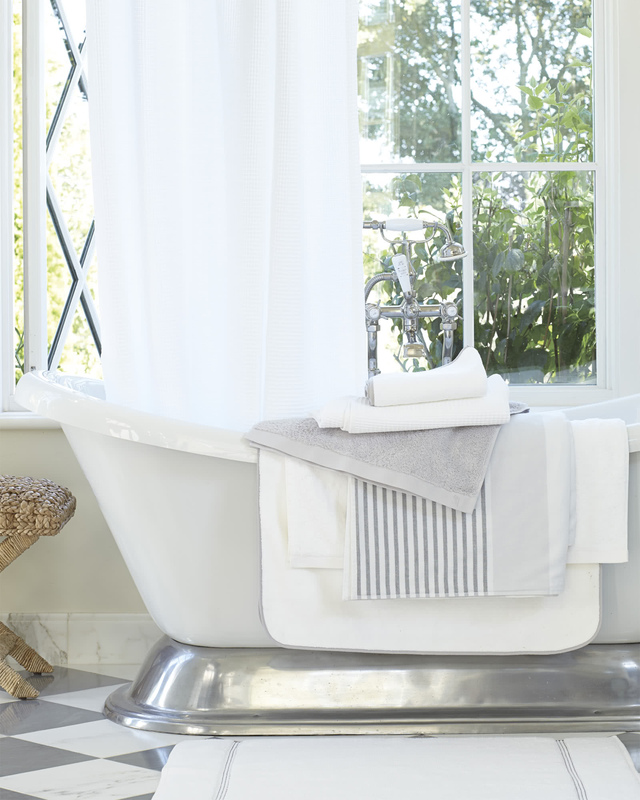 Cardiff Bath CollectionCardiff Bath Collection, alt="Cardiff Bath Collection, "
Print A beautiful bath staple is one of life’s little luxuries. (We say stock up.) 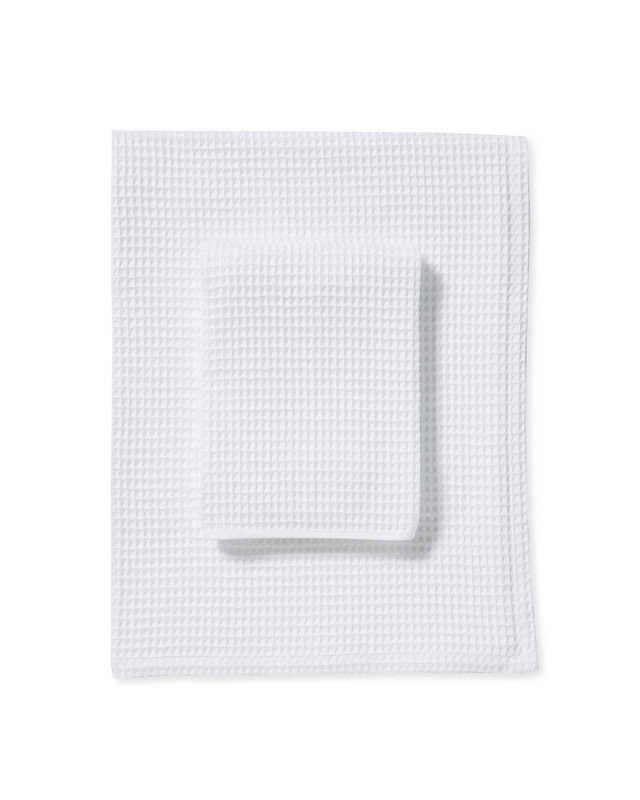 Made from Turkish cotton, this is woven to last and super absorbent, too, with an unlined waffle-knit that’s also quick to dry. Note: the pre-washed cotton has a natural stretch that returns to original size after washing. Certified by Oeko-Tex Standard 100. Hand towel: 20” x 30”. 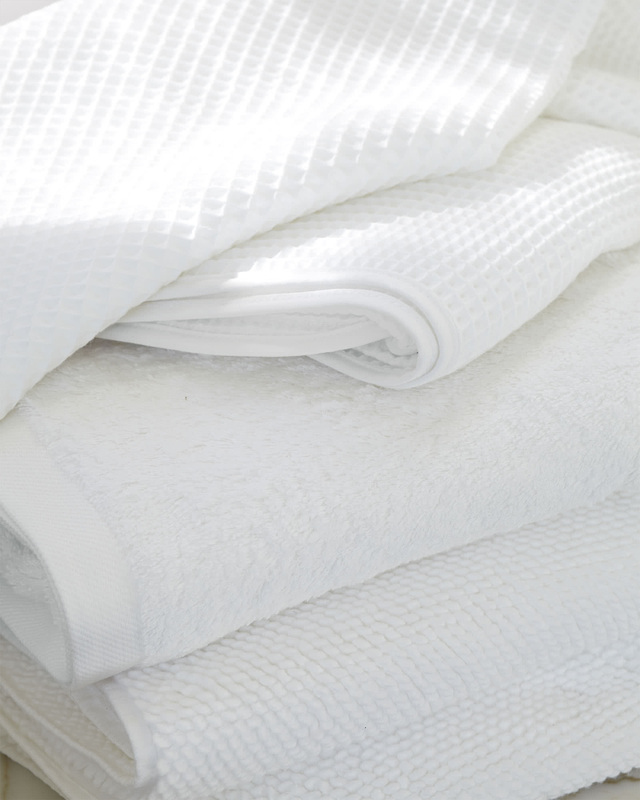 Bath towel: 30” x 56”.